Description: Pandit Clinic is renowned in the field of plastic/cosmetic surgery. This clinic has extra facilities with 3D imaging and Vectra XT software. Along with plastic surgery, they also work with eye-surgery, laser and reconstruction surgeries. 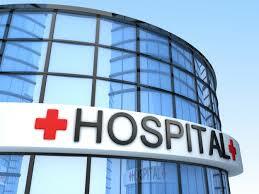 In this hospital, plastic surgery by restoring, repairing and improving the shape of the body parts. Abdominoplasty, non-surgical face lift, rhinoplasty, blepharoplasty , hair restoration, lip augmentation, face lift, cleft palate repair, breast surgery, otoplasty, skin resurfacing through laser, unwanted hair removal from the body, cataract surgery, jet peel, ultrashape, ultrapulse encore CO2 laser are some of the plastic surgery facilities this offered in this hospital. This hospital claims to having a vast experience of using lasers on Indian skin. This hospital holds an experience of 30 years in the field of plastic surgery and have successfully carried thousands of facial operations. They have a very experienced team of doctors having worked extensively on the laser equipments and given successful results. There is a facility for virtual consultation, where the prospective patients can fill up their online form and upload any pictures to help the doctors guide them an appropriate plastic surgery. They have highly experienced surgeons with a lot of involvement regularly into plastic surgeries, that gives this hospital a reliable staff-support. They can be contacted anytime between 9am to 7pm from Monday to Friday. The consultant is available on a saturday also in case of any prior appointment done.